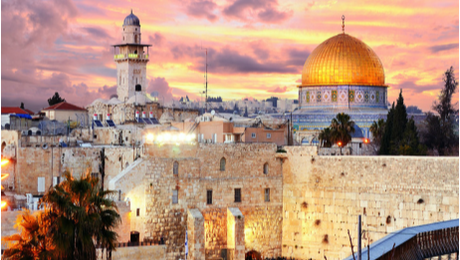 Make the most of your group's INSPIRE2020 experience by extending your pilgrimage to other holy sites in Europe. Our recommended extensions are all 6 Day / 6 Night itineraries to be added before or after INSPIRE. Itineraries for these options are detailed below. Want a longer or shorter pilgrimage extension? Groups may lengthen or shorten any of our recommended itineraries. Let us know your preferred travel dates, and we will modify your quote accordingly. ​Have a different destination in mind? July 15th, Wed Arrive in Paris and check into your lodging. Walk the ancient center of Paris visiting Notre Dame, Ste. Chapelle, and the Holocaust Memorial. Make an evening visit to the Basilica of the Sacred Heart (Sacre Cœur). July 16th, Thu Visit the Shrine of the Miraculous Medal, where you can pray before the incorrupt body of St. Catherine Laboure. Explore the catacombs of Paris in the afternoon. View "The City of Light" as it is meant to be seen with an evening visit to the Eiffel Tower. July 17th, Fri Make a day trip to Chartres to pray before the relic of Mary's veil in the most magnificent Gothic Cathedral in France. Return to Paris for a free evening. July 18th, Sat Transfer to Lourdes by train or coach bus. Time permitting, participate in the evening candlelight procession in honor of Our Lady. July 19th, Sun Pray in the triple basilicas of Lourdes and at the Grotto of Our Lady. Walk the Stations of the Cross in the spirit of St. Bernadette. Walk in the evening candlelight procession in honor of Our Lady. July 20th, Mon Enjoy a free day to go to confession, to bathe in the sacred waters, and to spend time with our Lord in Adoration. Walk in the evening candlelight procession in honor of Our Lady. July 21st, Tue Transfer to Barcelona for your flight to Rome for INSPIRE2020. July 28th, Tue Depart Rome on your flight to Barcelona. Upon arrival, board a coach bus for your transfer to Lourdes. Time permitting, walk in the evening candlelight procession in honor of Our Lady. July 29th, Wed Pray in the triple basilicas of Lourdes and at the Grotto of Our Lady. Walk the Stations of the Cross in the spirit of St. Bernadette. Walk in the evening candlelight procession in honor of Our Lady. July 30th, Thu Enjoy a free day to go to confession, to bathe in the sacred waters, and to spend time with our Lord in Adoration. Walk in the evening candlelight procession in honor of Our Lady. July 31st, Fri Depart for Paris in the morning by train or coach bus. 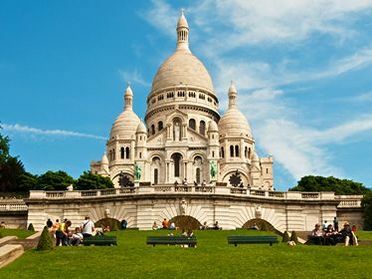 Make an evening visit to the Basilica of the Sacred Heart (Sacré-Cœur). Aug 1st, Sat Visit the Shrine of the Miraculous Medal, where you can pray before the incorrupt body of St. Catherine Laboure. Explore the catacombs of Paris in the afternoon. View "The City of Light" as it is meant to be seen with an evening visit to the Eiffel Tower. Aug 2nd, Sun Start the day with visits to Notre Dame, Ste Chapelle, and the Holocaust Memorial. In the afternoon, make an excursion to Chartres to pray before the relic of Mary's veil in the most magnificent Gothic Cathedral in France. Aug 3rd, Mon Bid adieu to Paris for your flight home. July 15th, Wed Arrive in Lisbon, visit the birthplace of St. Anthony of Padua followed by a panoramic tour of the city followed by a stop at the Church of St. Stephen, or “Church of the Holy Miracle,” in Santarem. Continue to Fatima. July 18th, Sat Morning walking tour of Santiago de Compostela before departing for Avila. Visit Albe de Tormes and the tomb of St. Teresa. Arrive in Avila, the best-preserved walled city in the world and celebrate Mass at the Carmelite Monastery. Visit the cell where St. Teresa lived, and see relics of both St. Teresa and St. John of the Cross. July 19th, Sun Morning walking tour of Avila, transfer to Madrid where you will visit the Royal Palace and the recently dedicated Cathedral of Our Lady of Almudena. July 21st, Tue Depart on your flight to Rome for INSPIRE2020. July 28th, Tue Depart Rome for Madrid, check into hotel, walking tour of the city center including the Royal Palace and the recently dedicated Cathedral of Our Lady of Almudena. July 29th, Wed Explore the streets and sites of the Medieval city of Toledo, the ancient capital of Spain, including Plaza de Zocodover, the Church of Santo Tome, the Cathedral and the Synagogue of Santa Maria la Blanca, night in Madrid. July 30th, Thu Depart for Avila, the best-preserved walled city in the world and celebrate Mass at the Carmelite Monastery. Visit the cell where St. Teresa lived, and see relics of both St. Teresa and St. John of the Cross. Continue on to Albe de Tormes and the tomb of St. Teresa, finally arrive in Santiago de Compostela. Aug 2nd, Sun Morning trip to the Church of St. Stephen, or “Church of the Holy Miracle,” in Santarem. 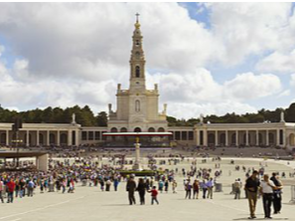 Free afternoon and evening in Fatima. July 20th, Mon Make a visit to the infamous concentration camp of Auschwitz. Here we will also visit the cell where St. Maximilian Kolbe gave his life. 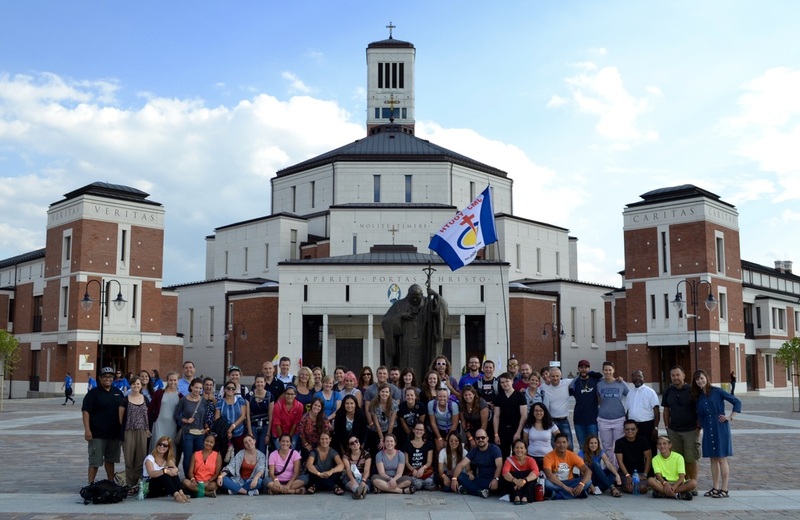 Continue on to Wadowice and the childhood home of St. John Paul II. Enjoy a helping of Pope Cake after Mass at St. Mary’s Church in the main square. July 21st, Tue Depart Poland on your flight to Rome for INSPIRE2020. 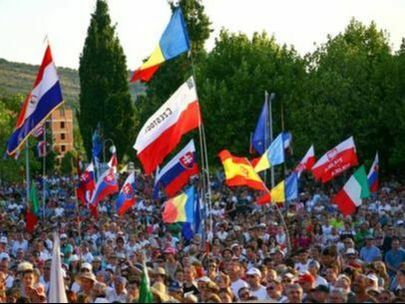 July 28th, Tue Depart Rome on your flight to Krakow. Visit Krakow’s famous Market Square and the Church of St. Mary, Wawel Castle and Cathedral along with the Franciscan and Dominican Churches. July 30th, Thu Make a visit to the infamous concentration camp of Auschwitz. Here we will also visit the cell where St. Maximilian Kolbe gave his life. Continue on to Wadowice and the childhood home of St. John Paul II. Enjoy a helping of Pope Cake after Mass at St. Mary’s Church in the main square. Aug 3rd, Mon Depart Warsaw for home. 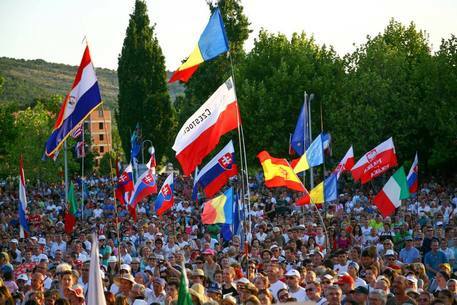 July 28th, Tue Fly into Split, Croatia, and continue to Medjugorje by coach bus. 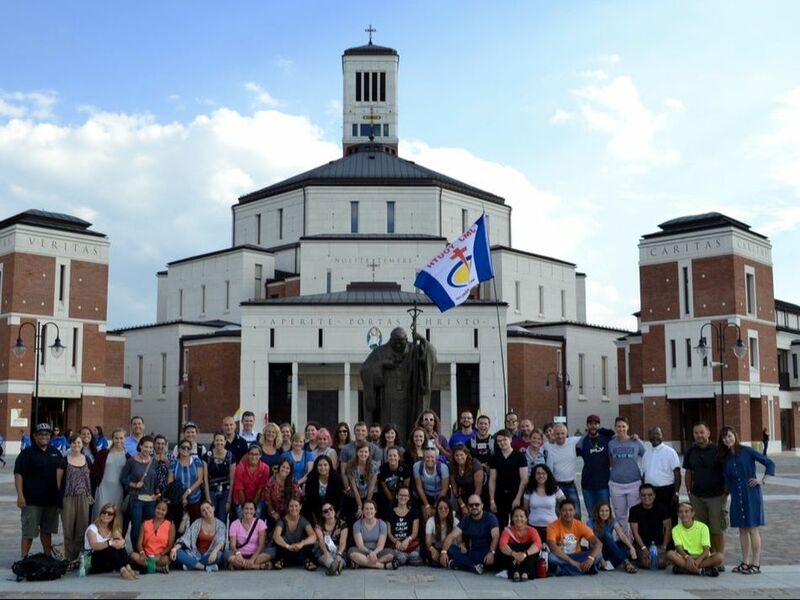 Tour the town before celebrating Mass and joining the evening prayer service (time permitting). Aug 3rd, Mon Depart for home.